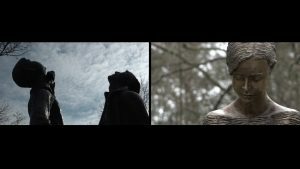 In this split-screen documentary commissioned by CoHERE, filmmaker Ian McDonald explores the politics of heritage practices and the construction of identity in Europe today. Composed of six parts, each responding to the research activities of six teams in the Co-HERE project, the film takes us to Dresden, Bologna, Bodrum, Tompa on the Hungarian-Serbian border, and to Melilla, a Spanish exclave in Africa, to ask “Who is Europe?”. It ends with the sounds of bells ringing across Europe on International Peace Day. In DRESDEN, the split-screen makes palpable the clash of opposites circulating in heritage practices in present-day Germany. Using an observational style, McDonald captures the attempts by right-wing German nationalists to instrumentalise the annual commemoration of the Firebombing of Dresden in 1945 to seek legitimacy for a stridently nationalist German identity in 2018. However, the nationalist attempts to use the bombing attack by British and American forces in 1945 to carve out a right-wing anti-immigrant German identity today does not go unchallenged by the youth of Dresden—be they anti-fascist activists demonstrating on the streets or schoolgirls dancing in the city square! 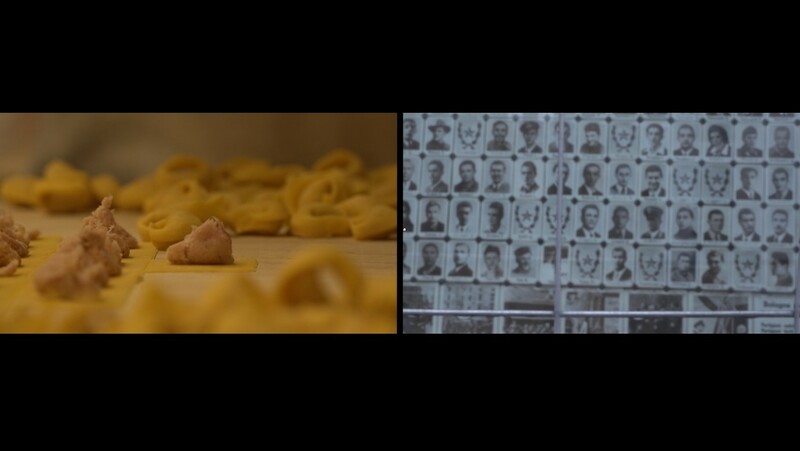 In BOLOGNA, the split-screen works as a structural and narrative device to prompt questions about the complex nature of the politics of food heritage and identity in the northern Italian city of Bologna. The ambivalent relationship between tradition and modernity in the Italian food industry is brought to the fore as we accompany pasta fresco makers Graziano and Graziela on a journey from their small restaurant in the centre of Bologna to the outskirts of the city and the site of the latest FICO Eataly World store, dubbed by the media as the “Disney world of food”. In TOMPA, McDonald is drawn to a small border-town as a base to visit and film the barrier-border erected by the Hungarian Government to stem the flow of migrants entering from Serbia into Hungary as a gateway to western Europe. Evocative visuals of this desolate place and encounters with the Hungarian border-guards are set alongside provocative testimonies from two of the increasing number of German citizens who are choosing to migrate to Hungary in the wake of the refugee crisis and its perceived impact on German society. In BODRUM, a popular tourist resort on Turkey’s south-west coast, a controversial plan is underway to construct a 50-metre-high glass reconstruction of the Mausoleum at Halicarnassus, ranked as one of the Seven Wonders of the Ancient World. 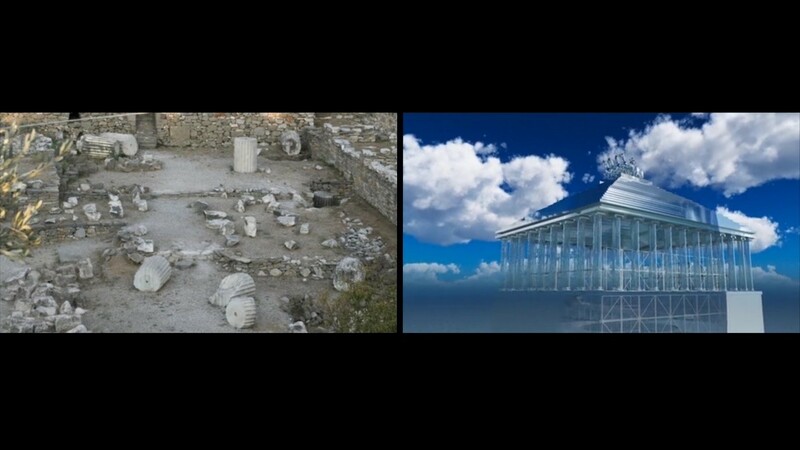 In this film, we visit the archaeological site with the ruins of the huge tomb of Mausolous and listen to conflicting opinions from architects, archaeologists and local people about the ambitious and audacious “glass-project”. At stake in this debate about Bodrum’s heritage and its relationship to civic pride and, of course, the business of tourism. Alongside these testy issues, opinions about the plans show up contests about the ownership of the Mausoleum and whether it is an expression of Hellenistic and European, or Anatolian (“Carian”), civilisation. In MELILLA, one of two Spanish cities situated in Africa, hundreds of migrant young men and boys from neighbouring Morocco, known as “Harragas”, risk their lives trying to illegally board ships bound for mainland Spain. In this city known for its rich heritage, McDonald spends time with these young homeless migrants and allows them to use his mobile phone to communicate with home and speak into the camera to communicate with the outside world. In a reflexive attempt to redress the power imbalance inherent in “dialogues” about young Muslim men migrating from Africa to Europe, McDonald insists that they, the ignored and demonized youth, talk, and we, the privileged viewers, listen. WHO IS EUROPE? 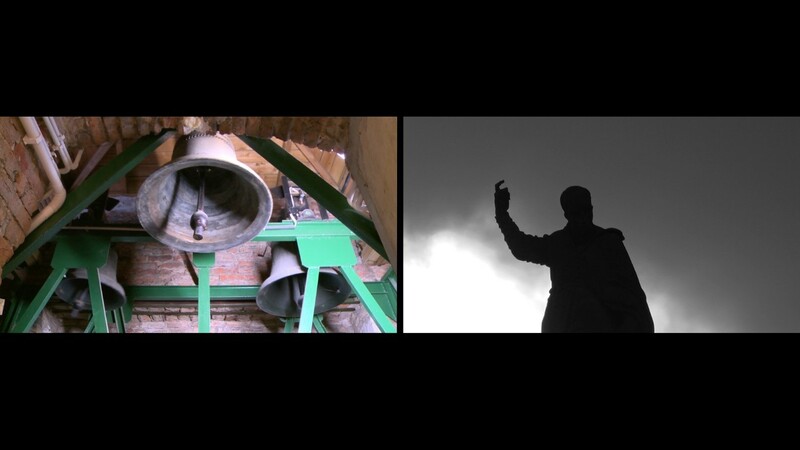 concludes with images and sounds of bells ringing out in Cologne, Riga, Warsaw and Northumberland in RINGING FOR PEACE. The UN-backed International Day of Peace is marked throughout Europe by a call for churches, city halls, belfries and memorials to ring their bells “for solidarity and peace” and a celebration of “shared cultural heritage in Europe”. Coming after five films that in different ways explore how heritage practices are often mobilised in support of antagonism and exclusion as much as peace and inclusion, this initiative leaves us with a key provocation of this 60-minute film, Who is Europe? Producer for interventions: Geetha J. The CoHERE project seeks to identify, understand and valorise European heritages, engaging with their socio-political and cultural significance and their potential for developing communitarian identities. CoHERE addresses an intensifying EU Crisis through a study of relations between identities and representations and performances of history. It explores the ways in which heritages can be used for division and isolation, or to find common ground and ‘encourage modern visions and uses of its past.’ The research covers a carefully selected range of European territories and realities comparatively and in depth; it focuses on heritage practices in official and non-official spheres and engages with various cultural forms, from the living arts to museum displays, food culture, education, protest, commemorations and online/digital practice, among others.